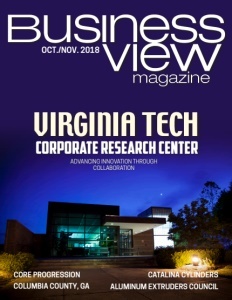 Business View Magazine interviews David Dagley, Mayor of Region of Queens Municipality, N.S., for our focus on Economic Development in Canadian Communities. 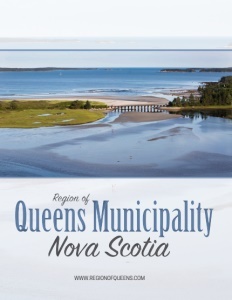 Along the scenic south shore of Nova Scotia, sits the Region of Queens Municipality, a community of just over 10,300 residents that came about as the result of amalgamation in 1996 of the Town of Liverpool and the Municipality of Queens. It encompasses the entire County of Queens. Highway #103 passes through Queens County, midway between Halifax and Yarmouth. Route #8 Highway connects Liverpool to Annapolis with Liverpool being 1 ½ hours from Halifax. Founded in 1759, Liverpool is one of the oldest areas in the province. In fact, historic architecture, unparalleled beauty, and rich natural resources are found throughout the Region of Queens, making it a must-go destination for tourists and a delightful community in which to work, play, and call home. Thanks to a forward-thinking municipal government, Queens Municipality continues the legacy of caring for the community from an operations perspective, while a diverse roster of thriving businesses and promotion of new opportunities and available sites, drives economic development. The area was blessed with electricity early, around the end of the 1800s. A major employer, Bowater Mersey Paper Company, started in 1929, during the Depression, and resulted in several hydro dams being built around the local Mersey River – the largest river in Nova Scotia. Presently, there are six hydro dams on that system, controlling water levels, eliminating flooding, and generating green energy. Nova Scotia Power is the beneficiary and owner of those facilities. Plans are on tap to renew all the plants in the next 10 years. The project, estimated at $600 million, is expected to go before the Utility Review Board next year for approval. When the Bowater Mersey Paper Company closed in 2012, after merging with Abitibi and moving to Quebec, it had a huge impact on the Region of Queens Municipality as well as all of southwest Nova Scotia. Many employees found work elsewhere and relocated. Some found local jobs and ever-resourceful Queens has been on the rebound. The province purchased the 550,000 acres of woodland owned by Bowater Mersey, and has put it back into production. All the harvesters previously employed by Bowater are still working. The province also owns the Bowater site, where it has demolished buildings that were no longer usable, to decrease their assessment footprint. 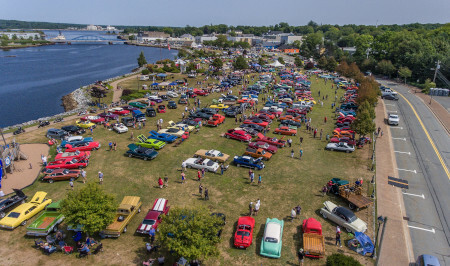 Several businesses have come to that location through Nova Scotia Lands, Nova Scotia Business Incorporated, or Innova Corp, which are all provincial start-up efforts. One of the onsite employers, R. J. MacIsaac, was successful in acquiring tenders for recycling three naval vessels. And they’ve recycled the Farley Mowatt, a smaller vessel that was anchored in Shelburne Harbour. Mersey Seafoods, a scallop and shrimp fishing company on the harbor in Liverpool, is in the process of building what it claims will be the most modern scallop processing plant in North America. It’s now under construction at the company’s existing site and it’ll be renovating other buildings on the property once that is completed. At present, it employs 150 people. Real estate is booming in the Region of Queens Municipality. A testament to the fact that the population is growing, almost double the transfer tax has been collected this year on home sales than was taken in three years ago. Contractors, carpenters, plumbers, and electricians are working flat out on renovations to newly-purchased homes. In fact, there is a six to eight month wait for a carpenter and more carpenters are moving to the area to seize the opportunity. The Region has also taken stock of the lands it owns as a municipal government. It’s listed and sold some surplus properties and done some RFPs, internally, to the public. Plaza Retail REIT purchased two acres of land at Queens Place and erected a 13,000-sq.-ft. building that is operating as a Dollarama. “That’s important,” says Dagley, “because the adjacent municipality of Shelburne doesn’t have one, so that business will draw a lot of shoppers to Queens Municipality. We have also looked at vacant schools that have been turned back to the Region from the province. We transferred one in Mill Village for a dollar to DEVI International Boarding School. They’re bringing international students in and it’s providing employment for six teachers.” Another school was sold to a developer who intends to build apartments on the property. And on a larger, 32-acre property sold last year, the developer has foundations in place for apartment buildings. Kent Fields Estates have said they will build more apartments as those are rented. Given the number of employees coming to work at companies in Queens, those accommodations are much needed. 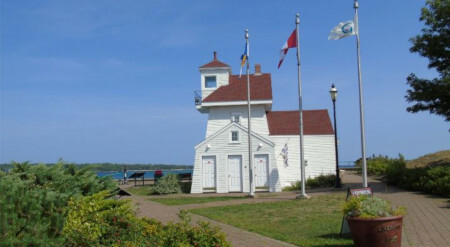 Other amenities and services offered by the municipality include a second generation landfill with source separation of recyclables and a separate organic waste collection. The Liverpool area is served by a state-of-the-art water treatment facility, and a wastewater treatment facility. Caledonia area also has a wastewater treatment facility. The local Queens General Hospital is an acute care community hospital with a 22-bed combined Medical and Surgical Unit, as well as a Day Surgery Unit and an integrated Collaborative Care Centre. The North Queens Medical Centre in Caledonia provides accessible primary care services in North Queens and surrounding areas.